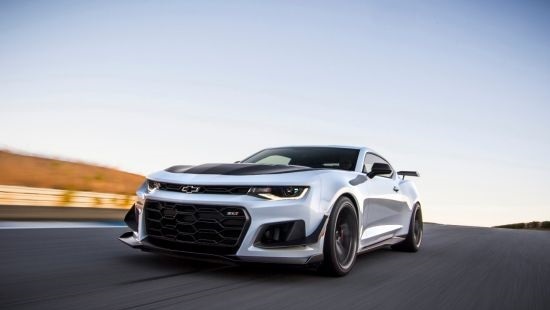 DETROIT January 29, 2019; The 2019 Camaro ZL1 1LE — the fastest, most track-capable Camaro ever — will offer an available 10-speed automatic transmission beginning late February. ­­­­­­­­­­­­­­­­­1Do not use summer-only tires in winter conditions, as it would adversely affect vehicle safety, performance and durability. Use only GM-approved tire-and-wheel combinations. Unapproved combinations may change the vehicle’s performance characteristics. For important tire and wheel information, go to https://my.chevrolet.com/learn/tires/ or see your dealer.